. The two-day concert takes place Friday 16 and Saturday 17 August at the impressive Soweto Theatre. Judith Sephuma has maintained a highly successful career since her debut album “A Cry, A Smile, A Dance” went multi-platinum in 2001. By singing songs that complement her exceptional vocals, Sephuma has won the hearts of millions of fans around the world. Her 2011 album, “I am Living Testimony” incorporates Afro-soul, gospel and jazz, and has been described as her most “inspirational” record to date. After more than 10 successful years in the music industry Sephuma has proven to be one of South Africa’s most distinguished female artists. 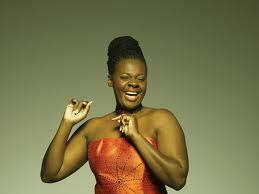 Don’t miss your chance to see the legendary Judith Sephuma live at this year’s DRUMBEAT concert on Saturday 17 August. DRUMBEAT is proudly presented by DRUM and Toyota in association with Hilltop Live, Amstel Lager, Mzansi Magic and White Star Super Maize Meal. Alcohol will not be sold to persons under the age of 18. Drink responsibly. Tickets are available at Computicket and cost R100 for Friday and R250 for Saturday. For more information about DRUMBEAT go to www.drumbeatconcert.co.za or follow DRUMBEAT on Facebook. Please note glass items, weapons, drugs and pets are prohibited and no food or drinks will be allowed through the gates.